Help your students identify 2D and 3D shapes and their properties with this handy chalkboard-themed classroom display. There are 2 styles to this display: colored chalkboard and black chalkboard against watercolor backgrounds. All text is editable. 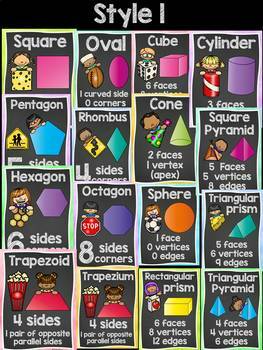 All shapes are featured with their properties and visuals. A real-life visual is also provided for all shapes except for the 3D shape Triangular Pyramid. You will find two display options in this style. → All shapes are featured with their properties. 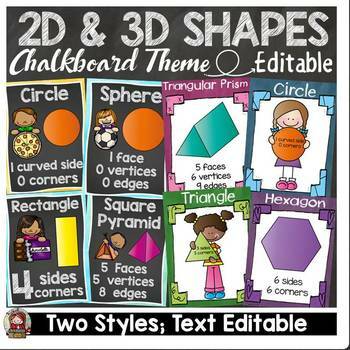 ✓ Print Kids and Shapes or Just Shapes in blackline. You may have students color in. 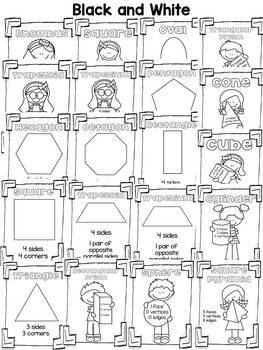 ✓ Print Kids and Shapes or Just Shapes (blackline) on colored cardstock. ⇒ Laminate for durability. Display on the bulletin board or on the classroom wall. 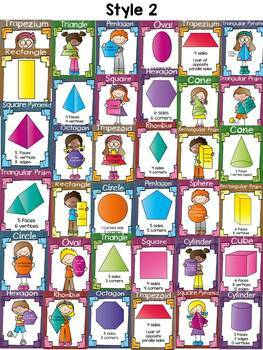 Students can often refer to these 2D and 3D shapes and their properties throughout the academic year. Wish you a successful academic year!